TORONTO CATHOLIC WITNESS: An Open Letter to "The Catholic Register", by Jane Wagner ~ "this is a story worthy of publication, but you have been silent..."
An Open Letter to "The Catholic Register", by Jane Wagner ~ "this is a story worthy of publication, but you have been silent..."
I had not intended to write to you after Michael Coren's scathing indictment of my daughter, Mary Wagner. I do not believe he is deserving of a reply; his "opinion" was both spiteful and childish. Beyond that, to continue to discuss the topic of Mary's incarceration, in the way that he does, makes it about Mary, and that is something she clearly never wanted. Her focus has always been, and will always be, the babies, who lives are being taken every day at the abortion mills in cities all over our country. We Canadians, we Catholics, have become numb to the killings and have demonstrated daily that we don't care, at least not enough to do something about it. I am writing to you, not to convince you of my daughter's purity of motives, because she doesn't need defending. You need only to meet her to know that she is real, that she lives and breathes the Gospel of Life with all of her being. I am writing to let you know that I am greatly disappointed in your paper, one which ought to herald a story that affirms so deeply the value of human life in the womb. That one person would renounce her freedom, her youth, and her own future, speaks clearly of the value of these little ones. She has raised them up for our collective consciousness by her willing sacrifice. It really is about these precious babies. Mary has taken to her heart the words of our great St John Paul II to "be not afraid", and to follow his lead in disobeying an illicit law that permits abortion. “Abortion and euthanasia are crimes which no human law can claim to legitimize.... 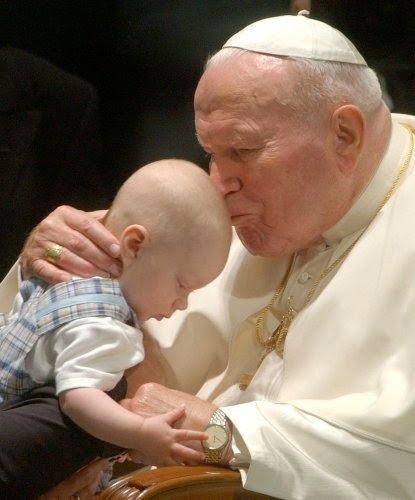 In the case of an intrinsically unjust law, such as a law permitting abortion or euthanasia, it is never licit to obey it..." St John Paul's exhortation in The Gospel of Life. This is a story worthy of publication, but you have been silent about it. So, why does The Catholic Register stoop to publish absurdity such as Coren has penned? As an editor of a Catholic newspaper you should uphold the Teachings and the Truth given to us by of our Catholic leaders, our saints, our Popes. Instead, you publish a deplorable article from a man who has never spoken to or met the woman he is vilifying. Clearly, you have failed in your duty to write the Truth in a Catholic manner this time around. God bless you. I hope you do better next time.